Froome, Quintana, Rodríguez, Valverde, Horner, Uran, Evans, Cavendish, Sagan, Cancellara, Gilbert: Could La Vuelta be the best grand tour of 2014? Three big names that crashed out of the Tour de France are likely to race the Vuelta a España (August 23-September), race officials confirmed Monday. Chris Froome (Sky), Andrew Talansky (Garmin-Sharp), and Mark Cavendish (Omega Pharma-Quick Step), none of whom made it to Paris, will likely line up for the season’s third grand tour later this month in Spain. Froome crashed out in stage 5 while Talansky pulled out after an agonizing ride to make the time cut into Oyonnox. Cavendish crashed in a sprint finish in the opening stage. All three are part of a stellar preliminary start list, revealed by Vuelta officials Monday, of riders expected to start the Spanish tour in less than three weeks in Jerez de la Frontera. Illness or crashes could knock them out, of course, but it looks likely all three will be racing in Spain. Other big names include Peter Sagan (Cannondale), Giro d’Italia winner Nairo Quintana, 2009 Vuelta winner Alejandro Valverde (Movistar), Tom Boonen, Rigoberto Urán, and three-time defending world time trial champion Tony Martin (all Omega Pharma-Quick Step), Robert Gesink and Laurens Ten Dam (both Belkin), and Haimar Zubeldia (Trek Factory Racing). Other GC favorites include Joaquim Rodríguez (Katusha), 2011 Tour winner Cadel Evans and 2008 Olympic champion Samuel Sánchez (both of BMC Racing), and defending champion Chris Horner (Lampre-Merida). 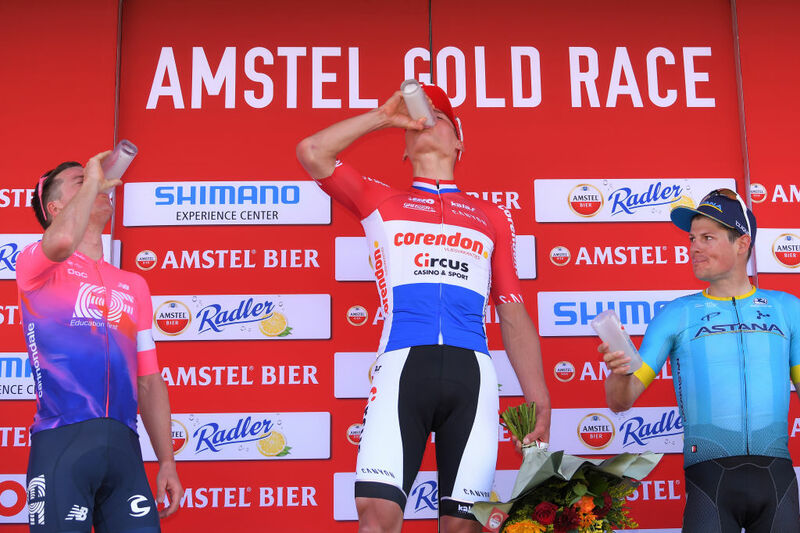 Other top Vuelta-bound riders include the Tour’s best young rider and third-place finisher Thibaut Pinot (FDJ), Giro podium man Fabio Aru (Astana), Dan Martin (Garmin-Sharp), and budding GC candidate Warren Barguil (Giant-Shimano). Other top sprinters penciled in to start include Nacer Bouhanni (FDJ), Michael Matthews (Orica-GreenEdge), while Philippe Gilbert (BMC Racing) and Fabian Cancellara (Trek Factory Racing) will use the Vuelta to hone their form for the world championships, set for a week after the Vuelta in Ponferrada. The Vuelta starts with a team time trial in Jerez de la Frontera on August 23, and ends with an individual time trial in Santiago de Compostela.